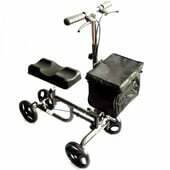 Primarily a folding rollator this unique product can be converted to a transport wheelchair by simply flipping the backrest over and attaching the footrests to the front. It is a Robust Design with a tool free assembly. 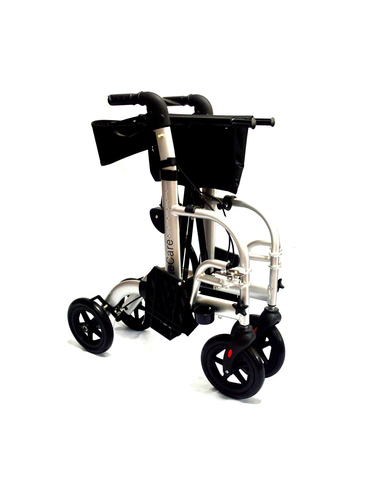 The Hybrid 2 in 1 rollator Comes with removable shopping bag. 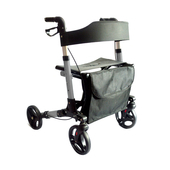 A comfortable mesh seat for support on long journeys. 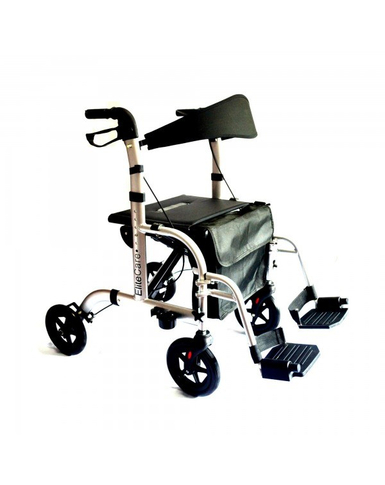 Also fto fit your best needs there is Height adjustable handles with soft comfortable hand grips, Easy to use brakes which both slow the rollator down and can be locked on. 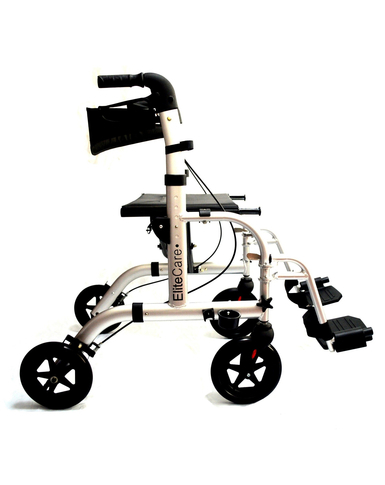 When folding just simply flip down the backrest from front to back when using the Hybrid in transit wheelchair mode. 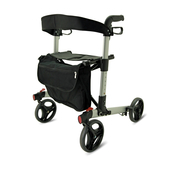 When in rollator mode the footrests can be put in the bag or swung around to the side and clipped in place.